Being married to the military can be a difficult journey for many spouses. It typically entails moving every 2-3 years, starting over with friends, schools, and jobs. It can mean multiple deployments a year with the spouse and children left at home for 3, 6, or 12 months at a time. For many army wives and husbands, the transition can be difficult to cope with continuous changes. Deployment can be a tremendous stressor on a military family. Over 50% of military members are married, and 9 out of 10 to military spouses are female . Often there is stressors of loneliness, loss of emotional support while the member is deployed, and pressures of separation from a spouse. Other stressors can include shifting of house and personal responsibilities, the stress of managing children, financial changes and disruption of family roles. Prior research has shown that both husbands and wives of army soldiers deployed, exhibit various stages of grief and loss . The Transition Theory is a theory that works to understand that phases of being left behind during a deployment. Phase one consists of feeling emotional chaos and preparing for the deployment. During this phase, the army husband or wife may feel numbness and shock or denial of the upcoming deployment. Being able to be well-prepared for the deployment is important for both the spouse and military member. Depending on how the spouse left behind will manage during the deployment needs to occur prior to the separation. When a family is well-prepared, it can create resiliency within the family. Other family dynamics that can put military families at risk include rigid coping skills, family difficulties, and families with young children . Open communication is extremely important for the military family prior to, during, and after a deployment. Phase 2 of the transition theory occurs during the deployment phase of separation. Often, if military spouses have children, the spouses have very little time for self-care. With concern for their spouse who may deploy in combat zones, often the spouse will avoid listening or reading reports of newscasts in wartime. Many times spouses will have difficulty sleeping, eating, or encounter physical symptoms due to increased stress. To manage stress, some military spouses will turn to healthy or unhealthy ways to cope with the situation. A study was conducted on 102 Army spouses from ages 19-15 from an East Coast military base. All spouses in this study reported the current base not being their home city and military members were anticipated to be deployed at least six months or more. 1/3rd was facing their first military deployment, and 25% of participants had children. The researchers separated the participants into several coping categories. 1.There was the Optimistic coping behavior group. These spouses were identified as having the highest rate of effective coping skills and were able to think positively about the deployment and their current situation. 2. The Support group used coping strategies that involved seeking professional help as needed, gathering with others whose spouses were also deployed for support, and use of faith and prayer to cope with deployment. 3. The third category was Palliative behaviors, such as keeping busy or distracted and infrequently using medication or alcohol to cope with the situation. 4. / 5. The fourth and fifth categories were Confrontive and Emotive behaviors where spouses took out their stress on others and used very little healthy coping tools to manage. It was found that with the later groups, that high levels of anxiety, depression, and sleep disturbances were found among spouses whose members are deployed . This combination can lead to negative thinking patterns, poor use of resources, and high rates of alcohol dependence and use. In another study in 2010, medical records of over 250,000 spouses of soldiers who were deployed between 2003-2006 showed that of those spouses whose members were deployed from 1 to 11 months in duration, had at least one mental health diagnosis . The spouses of those deployed equated to over 60% of the records reviewed. The researchers theorized that spouses of deployed members had diagnosis regardless of the length of deployment. Of the issues were alcohol use, bipolar disorder, drug use, impulse control issues, somatoform disorders and stress disorders. Of the most common were depressive disorders, up to 23%, sleep disorders of almost 9%, anxiety disorders at almost 14% and stress disorders encompassing 11% of the records reviewed . From looking at behaviors of those who abuse or depend on alcohol, often mental health disorders such as anxiety, depression, and bipolar disorders accompany the substance abuse. With the increased stress of military spouses, it is not hard to connect multiple mental health diagnoses with alcohol use when stress levels increase with the military lifestyle. It is imperative that healthy coping skills are learned and practiced before deployments occurring within the military family. It is imperative for families to have access to and reach out and connect with the base’s services, and off-base resources. Often knowing who the Key Spouse is on the base to be able to connect with them and other spouse’s whose members are deployed. Keeping regular social gatherings for self-care and support is also important. 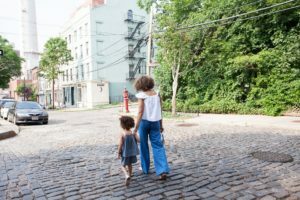 Knowing where and when to seek professional help is also important for families who are needing extra support in how to cope with separation. Working with your spouse prior to deployment is important for both of you. First, it helps set the tone within your family that you are a team, whether deployed or together. It allows your military member to be able to deploy knowing that their family is supported and knows how to access resources. It gives the spouse empowerment to know that they have control over their mental health and well-being to know available resources. Reviewed By: Jacquelyn Ekern, MS, LPC on September 30, 2017.